Places Visited: Antigua Guatemala, Comalapa, Chichicastenango, Quetzaltenango, San Juan La Laguna, Santiago Atitlán, Lake Atitlán, Río Dulce, Tikal and Guatemala City. 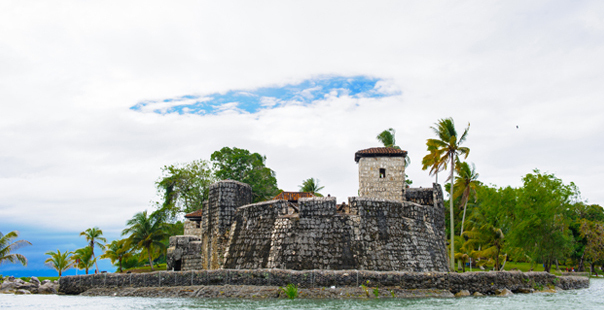 “Guatemala to be Discovered” is part of GA’s cultural vacations. This program is designed specifically for travelers who want to get in touch with local people and travel of the beaten path. 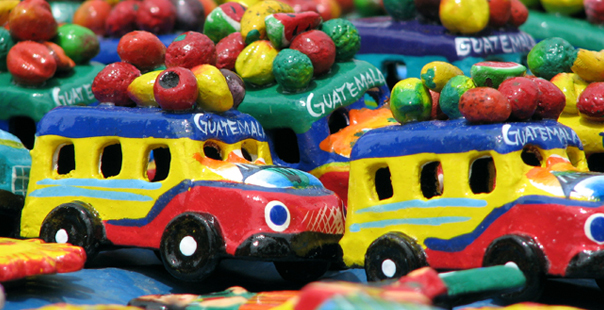 You’ll have the opportunity to visit non touristic places and really experience how Guatemalan people live. They will share with you the ancient mayan handicraft techniques, religion beliefs, textile and paintings workshops, folkloric music and dances, culinary activities and many others. Learn how to pick, process and roast your own coffee as local Guatemalan people do. 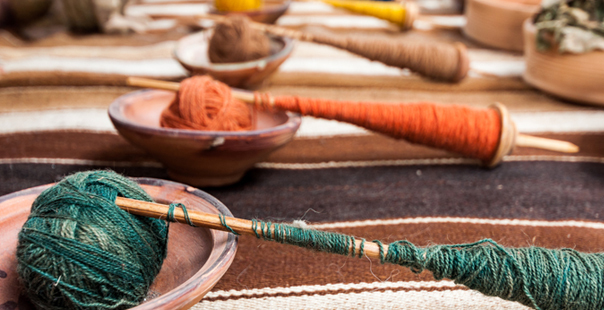 Go back in time and practice ancient techniques by weaving your own souvenir. Walk through the corn fields to learn about the Mayan cosmovision and why they consider corn a sacred part of their culture. Keep the rhythm of the Mayas folklore music by participating in dances and rituals. Visit to the most important and significant attractions of the city including Visit to San Antonio Aguascalientes and Ciudad Vieja. Overnight accommodations in Antigua Guatemala. Visit to a coffee plantation in the surroundings of Antigua, you will spend a day with a coffee farmer and learn how a day in the life of a small independent coffee farmer looks like. Learn how to pick, process and roast your own coffee! The farmers will take you up to the coffee plantation on foot to pick coffee from their fields. Overnight accommodations in Antigua Guatemala. 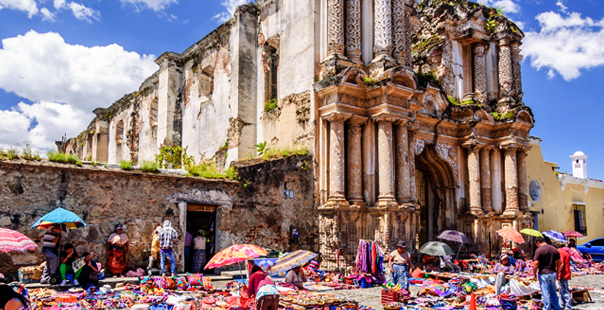 Transfer from Antigua Guatemala to San Juan Comalapa, a village known for its murals, marvelous handicrafts and its authentic market. 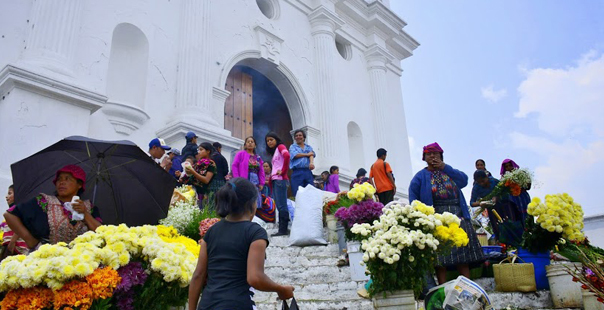 The visit will begin with a mural tour that shows the different paintings by locals that narrates the major events in the history of Guatemala including the Maya creation story, the Spanish conquest and Guatemala’s civil war. Time to have lunch in a local restaurant accompanied by folkloric music. After lunch visit to the local market and to a foot weaving workshop. Transfer to Chichicastenango for overnight accommodations. 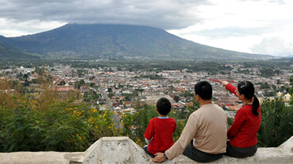 Quetzaltenango is the second largest city in Guatemala. Xela, as it is also known, is surrounded by the beauty of numerous small villages, which not only keep their essence but also still keep the indigenous culture. This city has an incredible energy and environment. During this exciting day you will visit Mayan Village of Zunil and Almolonga where you will see how local people live and learn more about its culture. Then visit to San Francisco El Alto and Fuentes Georginas, on the way you will see all the fruit and vegetable plantations from local people. Transfer to Panajachel for overnight accommodations. 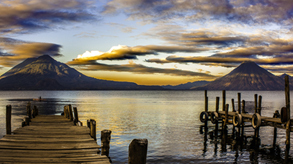 Discover the magic that surrounds Lake Atitlán and all its greatness while taking a boat to cross it and a visit a Tzutuhil Village. 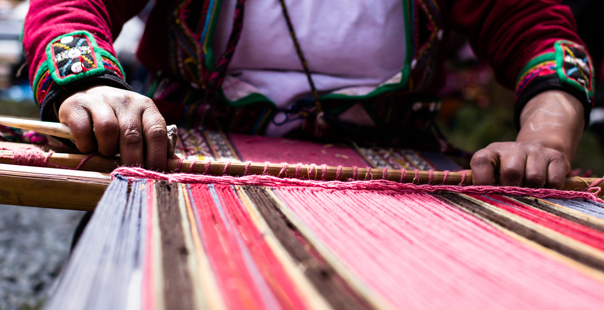 This place is known for being one of the most authentic and best kept secrets in Guatemala where you´ll begin with a Cultural tour visiting the different workshops where you discover how a women’s weaving cooperative continues the traditional methods of dying thread with native plants. Time to have lunch in a local restaurant, where you will enjoy of our typical food. In the afternoon you will witness a real Mayan Ceremony in a local plantation. Transfer back to Panajachel for overnight accommodations. We take a boat to visit another Tzutuhil village in the surroundings of Lake Atitlán. In this place you will visit the confraternity of the local saint named Maximon or Ri Laj Mam, visited by different people of different ethnicities who come to ask health and prosperity in their lives. Whether you believe in it or not, make sure to enjoy this magical experience. Transfer back to Panajachel to get ready for transfer to Guatemala City for overnight accommodations. Transfer from Guatemala City to Río Dulce. Time to enjoy a boat trip from Río Dulce to Livingston, which is a river running from Lake Izabal, in the eastern part of Guatemala, to the Carribean. Visit to the Community of “Lagunita El Salvador” where you will take a tour of the village, listen to a “Marimba”concert. Transfer to your hotel in Livingston. Visit to the Ak-Tenamit Project, that is a Kekchi origin population. It is an indigenous community development organization that promotes development solutions for education, health, cultural programs and income generation. We will begin the tour at the school, Health care clinic and different places to experience the living of the local people. Visit Finca Tatín to have lunch. Transfer to Tikal or Flores for overnight accommodations. Transfer to one of the most important archaeological sites of the Mayan World, Tikal, its name means “Place of Voices”, built during the Maya Classic Period. There are places on this earth that are so stunning that it is impossible to capture them in words or photographs. Tikal is such a place and is considered the second largest city in the Maya world. 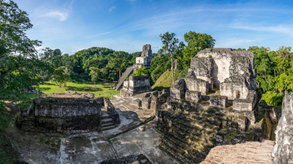 Tikal has the distinction of being the first site in Guatemala declared as a World Heritage Site by UNESCO. Upon arrival at Tikal archaeological site, our guide will show you the layout of the complex of Temples and Acropolis. Visit to the Complex Q and R, then to the Central Acropolis, Temples I “El Gran Jaguar and the Temple II” Los Mascarones “, regarded as the first and one of the most important monuments in the complex. Visit to the Lost World. At proper time transfer to the airport to take flight back to Guatemala City. Upon arrival transfer to your hotel for overnight accommodations. Please call us at: +502- 2410-8260 and provide us the following reference name:" Guatemala Culture Tours ", or you can fill out the form below and we’ll get back to you whithin 24 hours.